A wrongful death case involving a car accident is a type of tort. Personal injury lawsuits in Massachusetts, as our Boston car accident injury lawyers can explain, have a statute of limitations of three years pursuant to Massachusetts General Laws (M.G.L.) Chapter 260, Section 2A. The statute of limitation typically starts running from the date of the accident. However, in wrongful death lawsuits wherein the injured crash victim does not die until a later date, the cause of action for wrongful death would be the date of death – whether that is the following day or years down the road. The statute of limitations for wrongful death is also three years (from the date of death). One must prove the death in question was due to injuries suffered in the accident. However, this is something victims’ families should discuss with an experienced Boston car accident lawyer because if a settlement is reached while the plaintiff is still living, it will require a general release of liability and waiver of future claims that might prevent the filing of a wrongful death lawsuit such the plaintiff die later in connection with the injuries suffered as a result of the car accident. This does not mean you should not settle the case, but it is important to make sure that all contingencies are discussed prior to settling the case. Generally speaking, punitive damages are disfavored in the American legal system, including the statutory law of Massachusetts. The standard measures of damages is known as compensatory damages, because as the name implies, they are designed to fully compensate the plaintiff for his or her loss. While there is no realistic to fully compensate the loss suffered by the family following a fatal Boston car accident with money alone, money is often the only way the law can provide a remedy. This is known as a legal remedy as opposed to an equitable remedy such as an injunction or specific performance, and both of these are not typically applicable following a Boston car accident. Punitive damages are available in a wrongful death action, according to Chapter 229, Section 2, when the conduct of the at-fault driver was malicious, willful, wanton, or reckless. This essentially means that the at-fault driver either intentionally tried to harm or kill the plaintiff, an that would involve an intentional tort such as assault and battery rather than mere negligence, or a case in which the defendant acted with a complete disregard to the safety of others. One example could be when a person is engaged in an illegal street race and someone was killed, or where a driver was engaged in behavior considered to be road rage. However, these cases are are few and far between, but they do occur. According to a recent news article from Deadspin, Terry Glenn, a former NFL player, was killed in car crash at the age of 43. Glenn played for The Ohio State University until he was drafted into the NFL. He is well-known in the Greater Boston area as he played six seasons for the New England Patriots, in addition to his time with the Green Bay Packers and Dallas Cowboys. While on the Patriots, Glenn was named to the 1999 Pro Bowl team, and was also noted for catching the first touchdown pass from Tom Brady who would go onto to achieve greatness on the team. Authorities are still working to determine the cause of the fatal crash, but they believe the SUV in which Glenn was driving left the lane of travel and crashed into a concrete barrier. When the vehicle hit the concrete carried, it is believed to have rolled completely over. During this rollover crash, Glenn was ejected from the vehicle and was critically injured. When first responders arrived at the scene of this horrific crash, they did what they could to stabilize him before rushing him to a local level one trauma center. He was pronounced dead soon after arrival at the hospital. There was on other person in the car at the time of the fatal crash. It was a woman who was also injured, but her injuries were not anywhere near as serious as Glenn’s. It has been reported that this passenger was Glenn’s fiance. There has been no information released as to whether Glenn was wearing a properly fastened seat belt, but we do know that in the majority of rollover accidents involving a person being ejected, victims were not wearing seat belts. We also know that rollover accidents resulting in a partial or complete ejection are often fatal. This is not to say that a seat belt prevents all serious injuries, as people certainly get injured in Boston car crashes while wearing one, but they are generally very effective at preventing driver or passenger ejections. 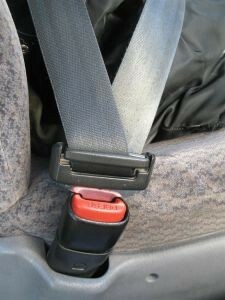 Failure of a plaintiff/ decedent to wear a seat belt does not absolve a negligent driver of liability.